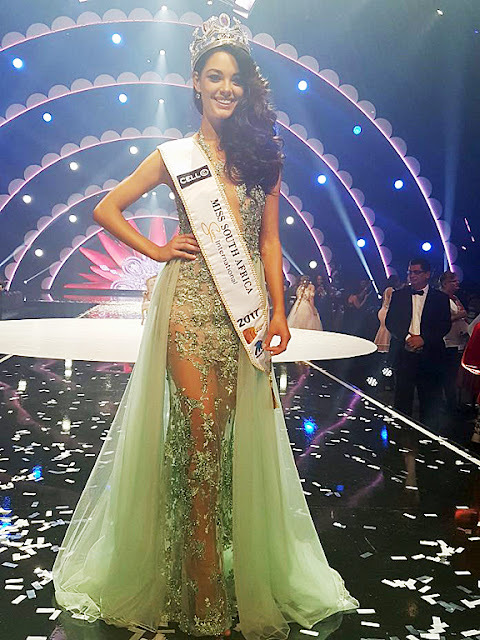 Demi-Leigh Nel-Peters, a 21-year-old business student, was crowned Miss South Africa 2017 on March 26 at the Sun City Superbowl. She is expected to compete in either Miss World or Miss Universe pageant (whichever comes first) later this year. 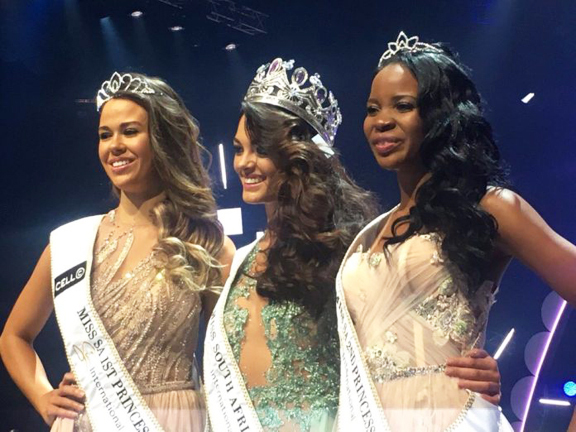 The First Princess is Adè van Heerden (left) and the Second Princess is Boipelo Mabe (right). Priyeshka Lutchman and Shané Naidoo completed the Top 5.